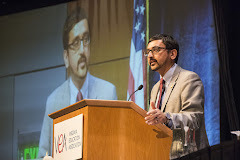 VEA Convention Report: Off and Running! The first business session of the 2014 Delegate Assembly is in the books! Highlights of the evening included a stirring keynote address by Joyce Powell, a former president of the New Jersey Education Association; an appearance by Virginia's own Princess Moss, a former VEA president, current member of the NEA Executive Committee, and candidate for NEA Secretary-Treasurer; and greetings from retired Roanoke Education Association member Anita Price, a member of the Roanoke City Council (pictured). Also, candidates for VEA offices gave campaign speeches. Three are vying for the VEA presidency: incumbent Meg Gruber of Prince William, Frank Cardella of Chesterfield, and Sarah Patton of Covington. There are two candidates for a spot on the NEA Board of Directors: James Fedderman of Accomack and Steve Whitten of Mecklenburg. 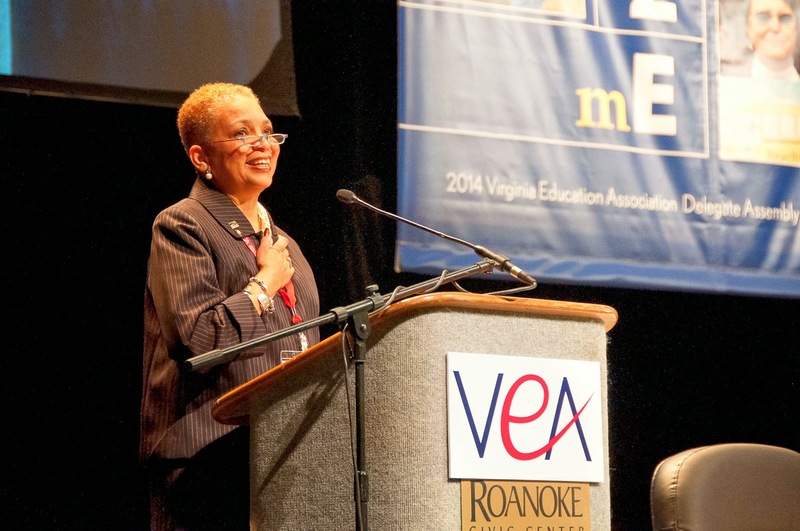 Several candidates ran unopposed and were declared the winners of their contests: Jeff Pennington of Floyd County for Vice President; Gwendolyn Edwards of Prince William for Alternate ESP-at-Large on the VEA Board; and Eddie Fifer of Washington County and Dennis Pfennig of Fairfax for VEA-Retired-at-Large Directors on the VEA Board.